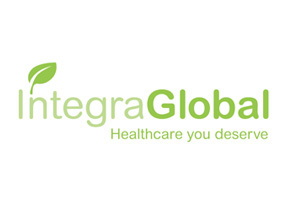 Integra Global is a UK based medical plan designer that offers comprehensive global coverage options to clients in many locations around the world. Plans from Integra Global are flexible and afford their policyholders continuous and far reaching worldwide coverage no matter where they may relocate or travel to. This commitment ensures that Integra Global’s Thailand plans will remain active no matter where a policyholder may move to in the future. In addition to providing outstanding customer services and support that includes a 24 hour support phone line and extensive direct settlement agreements, Integra Global has developed an electronic health record account which allows the policyholder to safely store their medical records and insurance history in an online account. This service allows the policyholder instant access to their personal information should it be required in an emergency situation. I purchased a Personal Health plan from Integra Global a couple of years ago and have been suitably impressed by the coverage levels and of course its affordability. I am resident in Thailand but travel quite extensively around the South East Asia region with work and occasionally on vacation so this plan is ideal for me. I live in Thailand but recently went on a trekking holiday to Nepal where I unfortunately came down with dysentery. My friends and tour guide brought me to a medical clinic and I was quickly able to bring up my health coverage and history on the Integra Global members section of their website. My friends and the medical staff treating me were all suitably impressed by how easy it was and I was delighted to have Integra Global there with me just when I needed them the most. Our staff and support team can provide you with additional information on Integra Global or any health insurance provider found on this website. To receive more info, simply complete the details form at the top of this page. You can also contact us directly for this information so please click here for this service.